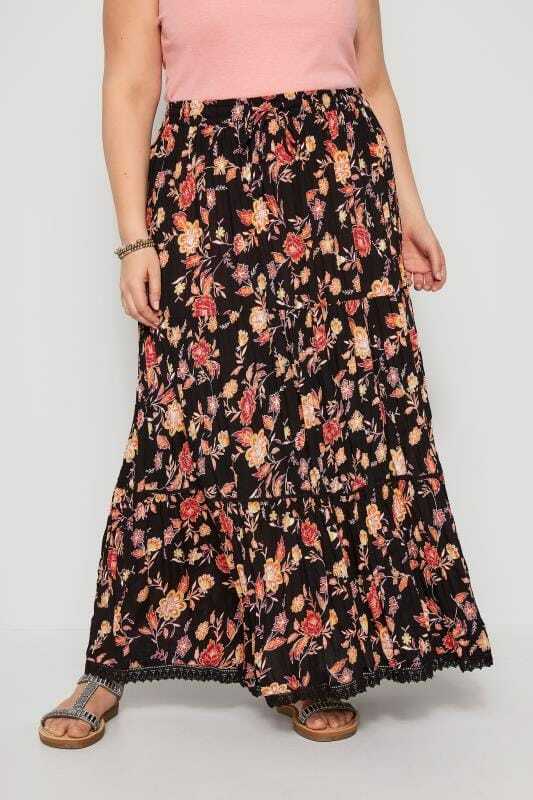 Get your fashion fix with our range of plus size maxi skirts. This season printed styles lead the way with a-line shapes featuring heavily. Wear monochrome for a sophisticated look, or style up your casual look with a broderie gypsy skirt. Whatever your style, we have your look covered in sizes 16 to 36. 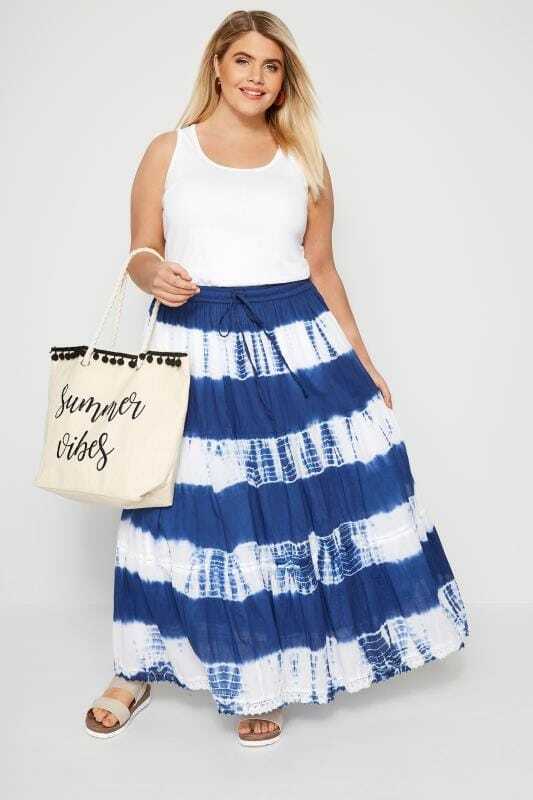 Give your look a new-season update with our range of plus size maxi skirts. Whether you’re looking for workwear, evening attire or something formal for the office, choose from a selection of bold or neutral colour palettes in minimal or statement designs. Available in sizes 16 to 36, check out our style advice on how to wear your maxi skirt through the seasons. 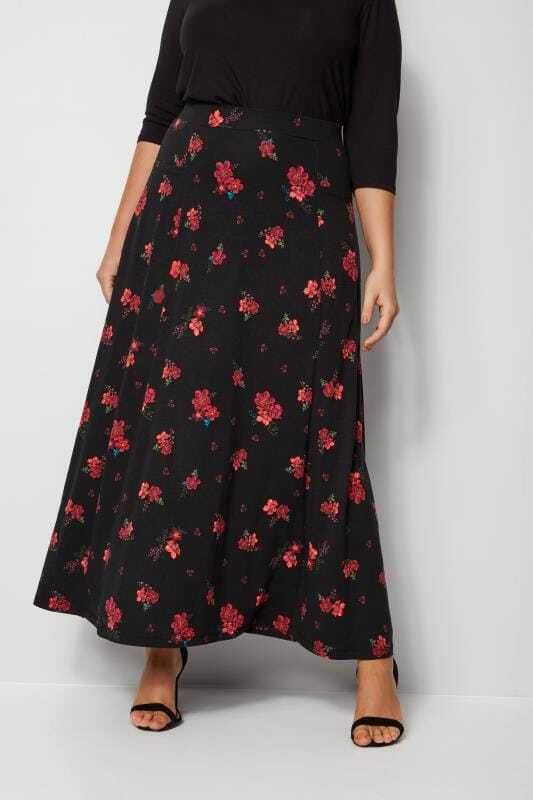 For a low key, casual look, check out our range of plus size jersey maxi skirts. Featuring elasticated waistbands, this style is super comfortable and easy to wear. In a range of colours and prints, choose from minimal or statement styles to find your perfect look. Team with a t-shirt and pumps to complete the outfit. For a chic evening look, browse our range of plus size long skirts in mesh or tulle fabric. Combining elegance and sophistication, tulle skirts are an all year-round staple item. Ideal for weddings, prom or special occasions, team maxis with a cami top and heels for an on-trend look. The perfect wardrobe staple, maxi skirts are an effortlessly chic solution to summer styling. Choose from a selection of jersey or woven fabrics in brightly coloured hues and team with sandals and a vest top to finish the look. Maxi skirts can easily be worn through summer and into winter with the correct styling. Jersey skirts look chic when teamed with boots and a belt, and tulle skirts can be worn with tights and heeled boots for an on-trend look.